Too often it’s only when we see piles of accumulated waste around the city and in our homes that we wonder about the workings of our waste management system. But even right now when there is hopeful news about the developments of the highly anticipated Integrated Solid Waste Management Project, certain stakeholders are skeptical. Priyanka Gurung reports. We need our cities to be clean. On paper, it is as simple as that. But, clearly on the streets, managing waste, especially within our valley, has never been that straightforward. For instance, currently some households around town are probably still waiting for their weekly local garbage collectors. Some localities are suffering from these delays. They must be grumbling about the accumulated waste at home and Dhana Prasad Acharya, being the Chairman of Waste Management Group Pvt. Ltd. as well as head of Practical Waste Solution Pvt. Ltd., agrees the citizens have every right to. But like the rest of the 65 private companies involved in waste management around our valley, he wants us to know, his hands too are tied. For those curious, he offers some insight into the situation. “This problem actually occurs almost every monsoon. The road leading to the Sisdol landfill site is in a very bad condition. Since our trucks have trouble getting to the spot, we are forced to work only on days it doesn’t rain,” he says. The Kathmandu Metropolitan City (KMC) hasn’t taken any initiative to repair the path, thus the delay. After a statement like that, it’s only natural for the all too familiar feeling of exasperation at our governing body’s lack of efficiency to resurface. While sharing photographs of Sisdol from his recent visit, Acharya attests to feeling the same way. For the likes of him, as invested stakeholders, there are so many places to complain. Why is the tax collected from these private companies in the name of the landfill site not being used properly? How is a landfill site that was originally planned to be used for a maximum of four years in 2005 still our only garbage dumping site? But again, behind the scenes, things aren’t that simple. Acharya chooses to be honest. He confesses that right now, for those involved in the waste management business, finding solutions to these day-to-day nuisances isn’t exactly a priority. 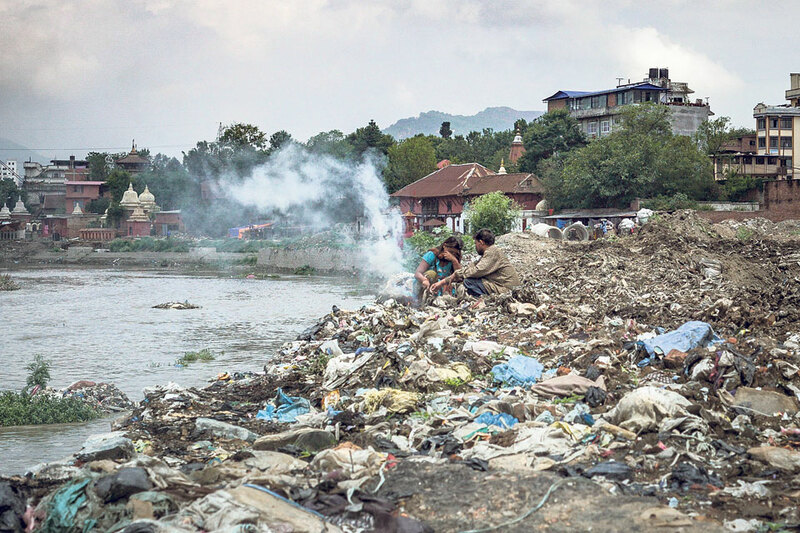 They claim to have a bigger issue at hand, The Kathmandu Valley Integrated Solid Waste Management Project. Apparently, they are all very busy keeping their eyes on its proceedings. This project was adopted by our government to address the waste management problem in and around the capital. This is a Nepali-Finnish joint venture and was agreed upon seven years ago to develop and implement programs that will help turn our waste into energy. The potential of it is believed to be massive but, the catch is, it shall disrupt the workings of the current waste management system. So, apprehensive about what it might spell for them in the future, Acharya and his peers are trying to secure an integration of the existing workforce into the project. He informs that, in the private negotiations so far, they have been assured that this particular demand of the private waste management companies’ will be met. But nothing has been made official yet. For seven years, they have had to deal with this uncertainty. And the holdup hasn’t only taken its toll on the scale of their businesses but also the development of our country’s waste management sector. If we were to ask the management of any private solid waste management company, their experiences tend to be similar. Too many of them are wary about expanding their own business with sophisticated machinery and more manpower because they feel that there is no guarantee for their investments. Sahad Dev Raut, of Shrijanshil Sewa Pvt. Ltd., for instance, shares that he took two years to decide on purchasing a dozer for their garbage collection process. This is despite the hundreds of tons of garbage that he collects in his designated area. Even so, he considers it a big step, an upscale, considering the current circumstances. Nepce Mac, one of the leading Solid Waste Management companies in the country too admits that they are holding themselves back from big investments. They are currently producing three tons of compost everyday but claim that they haven’t tapped their full potential yet. 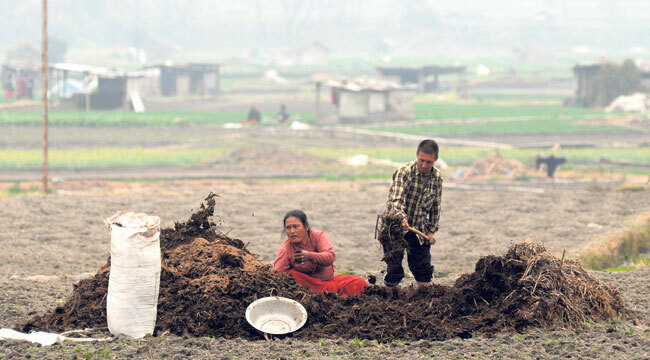 As far as Dahal is concerned, waste management has been poor in and around our capital because private companies haven’t had the required support. It’s logistically challenging to develop their businesses. Whether somebody is producing fertilizers, bio gas or recycling, all the projects are limited to being small scale operations. Even though, private companies are responsible for more than 60% of the waste management, they complain to have never met favorable conditions. According to Acharya, the delay in this tender further proves how waste management has never made it to our government’s priority list. It was, he says, one of the reasons they felt compelled to group together under Waste Management Group Pvt. Ltd.
Dahal from Nepce Mac also talks about how they had to give up their compost site at the Hadigaun area for road construction plans. 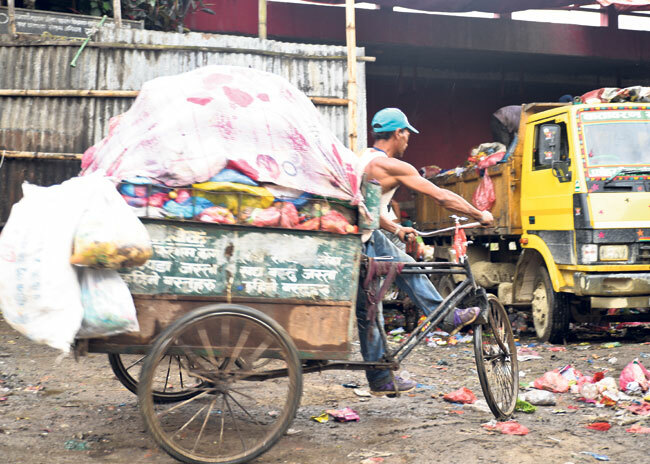 They used to collect garbage from 500 households for the purpose and were gaining lot traction but they were forced to leave that project in the area. “When the government itself isn’t on our side, who do I go to with complaints?” Dahal asks. WEPCO’s Bishnu Thakali shares a similar story. She has been protesting against the seize of her organization’s land for two years now. Their organization at Kupundole had to give away their land for Bagmati pipe construction purposes. It was the field where they used to run eight compost sheds, maintain bio gas supplies for their own office use as well as two local restaurants nearby, and recycle papers to create merchandises for charity sales. But all that work now has been stopped. Despite various appeals to respective government departments, there was no cooperation on their part. They are still looking for a land to relocate, if necessary. 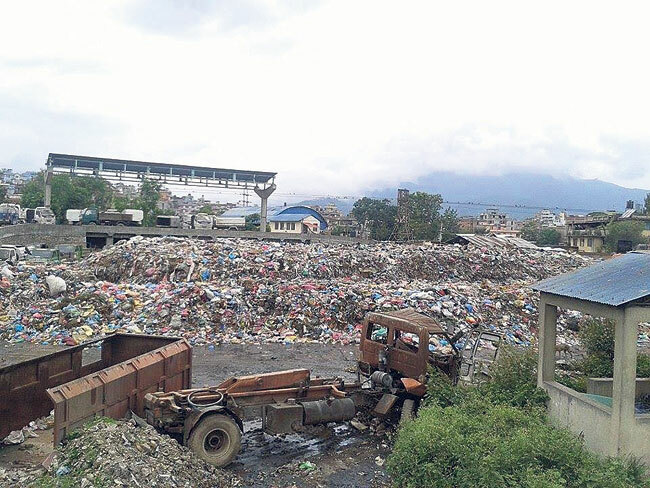 The murmurs around suggest that the Kathmandu Valley Integrated Solid Waste Management Project will properly kick off by the end of these six months or, at the very least, they will have ironed out the details of all the required agreements. Acharya and the rest have their suspicions but are rooting for a quick wrap up as well. The hope is they can resolve the issues and start working at full capacity.